Each month or so I look forward to changing out the wreath on the door and wreaths in the house. 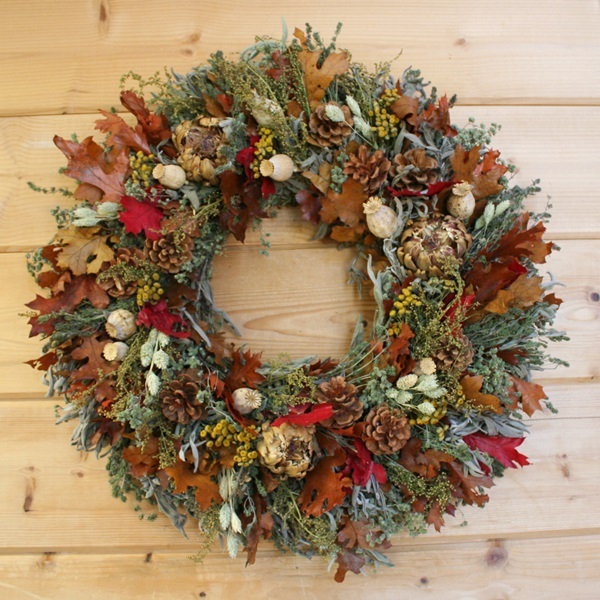 Creekside Farms has a fantastic selection of wreaths for every season. I was very excited when they offered to send me their Fall Abundant Wreath. This is a very large wreath at 22 inches in diameter, and they certainly named it right! Here’s the official description: A wonderful medley of fall leaves, herbs and grains are artfully adorned with dried artichokes, pods and tansy. This wreath is sure to make a statement in your home or office. The first word that comes to my mind when I look at this wreath is robust. It is large and very full. It has a great mix of rich colors that are perfect for the fall but would look great any time of year if you just wanted to get one wreath for all seasons. I love the way they look a lot of different elements and brought them together here. It looks great and very homey! And if you like the smell of dried herbs, you’ll also enjoy the scent of this wreath. I would definitely recommend this wreath as a great piece to adorn your door this Thanksgiving! 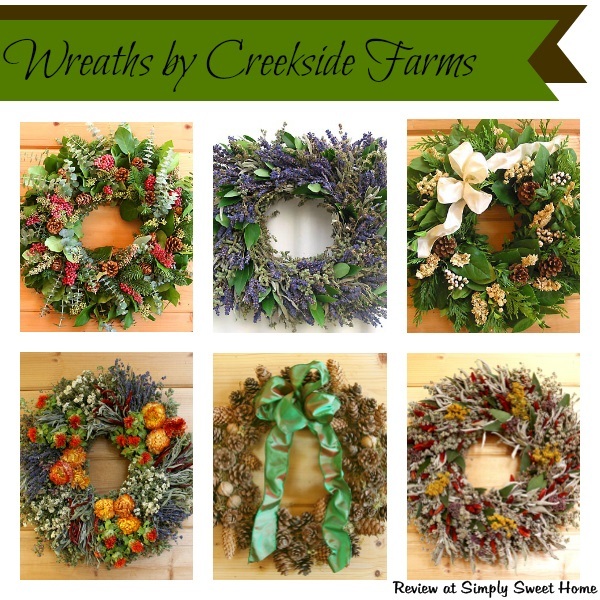 Disclosure: I received a sample wreath from Creekside Farms for review purposes. The opinions are my own.